I picked one of these up about 2 years ago now, I think. I didn't buy any after-market stuff for it, but I've taken some parts from other kits. 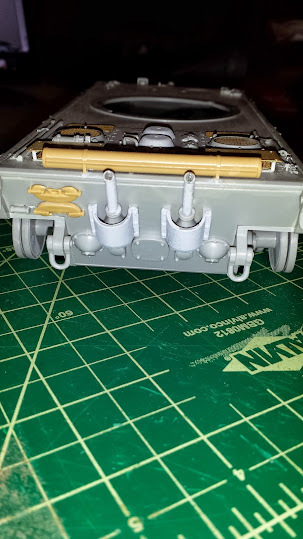 The tools came from a DML Feb '44 Tiger, the plates for the rear vents are from a Lion's Roar kit for my Porsche Tiger II (cuz it's not gonna need them), the rod holder is from a Tamiya Panther, and I scratched a engine crank. 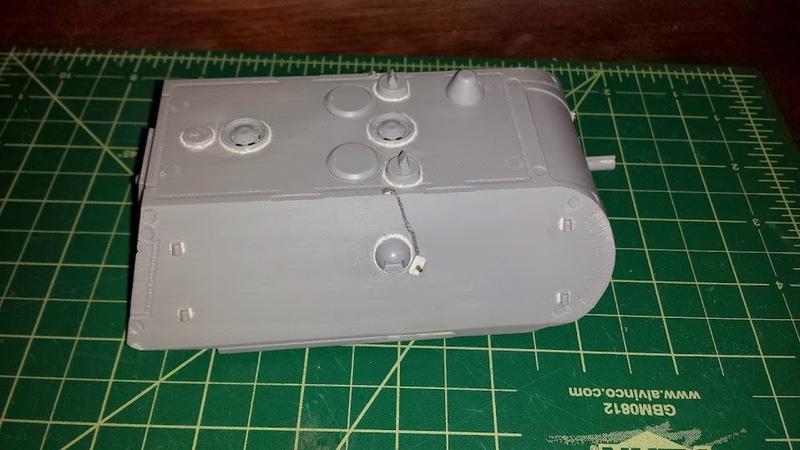 I've added welds all over the Maus turret and scratched some kubel covers and chains. 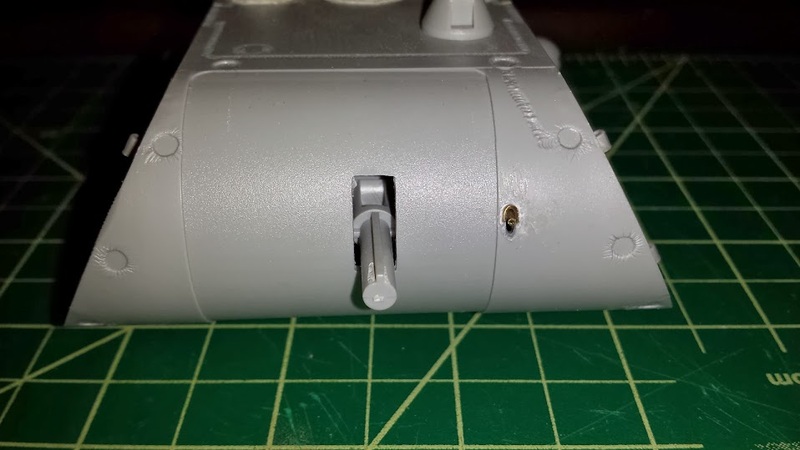 The turret sat too low and caught on vent screens, so I cut a ring and added it to the bottom to get to ride up .3mm, which is just enough. 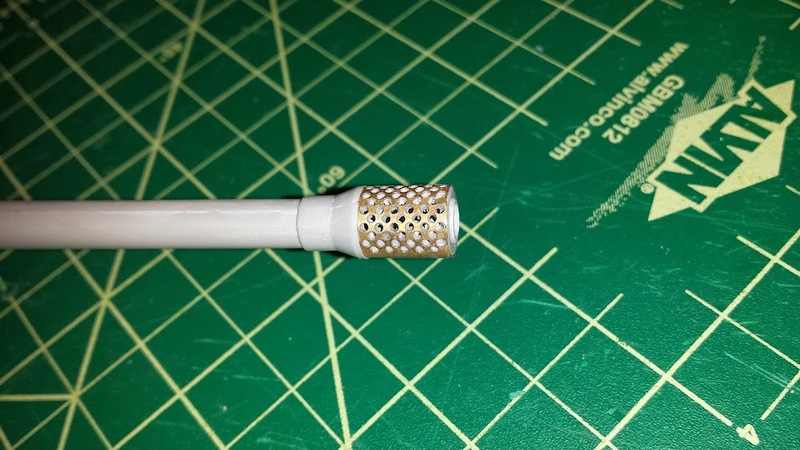 I drilled out a spot for the front scope, and then put in a piece of brass tube for that, and put a little rain shield over it. Not done detailing it. 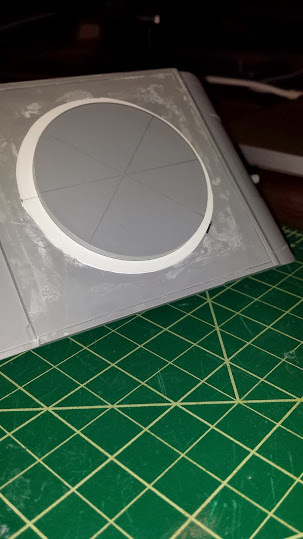 The wheels are attached with rubber cement while I get the tracks done. The hull was badly warped. 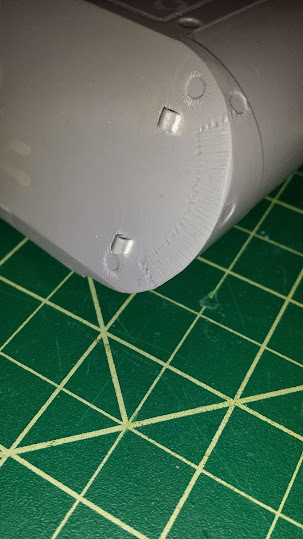 I tried adding a brace, and it kept breaking loose. Finally just rubber banded and clamped the heck out of it, glued it, and let it sit for a couple weeks. 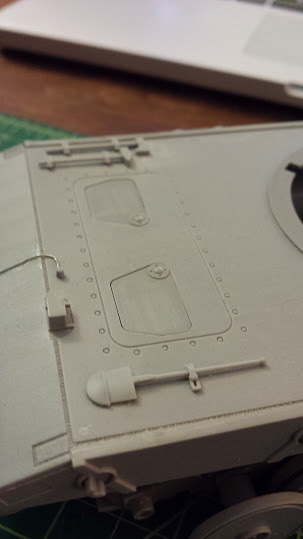 I still need to add track holders (and spare track) to the turret and add the machine guns. To the hull I need add some hatch handles and stops and some drip lines in the back. And I need to put some lugs and a starter crank holder on the exhaust covers. 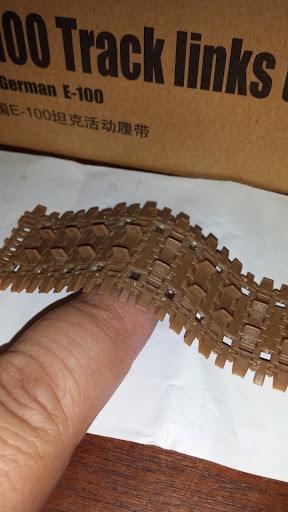 Then clean up the tracks (no Magic Tracks here) and fit them together (which they don't want to do). 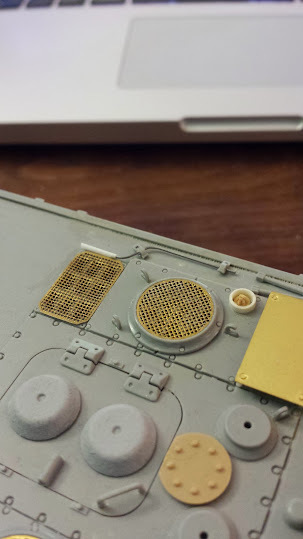 Lastly add the infrared lights. I'm thinking about painting it NATO style, but using German WWII colors. Last edited by armor fiend; 12-20-2013 at 11:15 PM. One of my grenade guard wires has fallen out. Need to fix this chain. I think the NATO scheme in WWI colors is a neat idea, I will make for an interesting model. I broke down and got some aftermarket for it today. 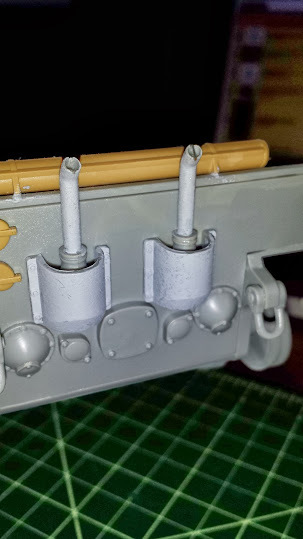 Squadron has the Trumpeter workable E-100 tracks 35% off, so what the heck. 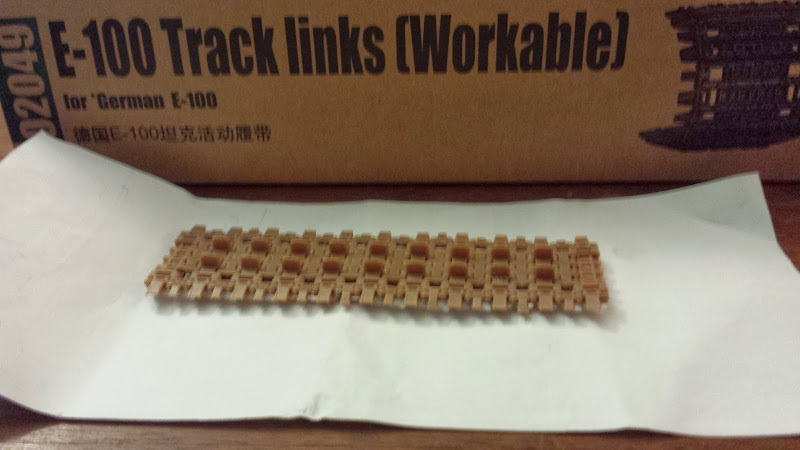 The DML tracks just don't fit together. 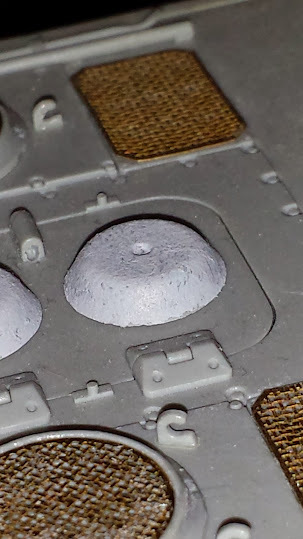 Along with a HobbyBoss T-26 and a Mach 2 Semiorka R-7. 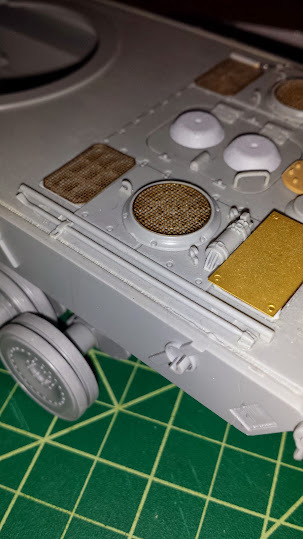 I have a set of those Trumpter tracks as well for my project (Trumpeter E-100). Nice to see what they look like put together. 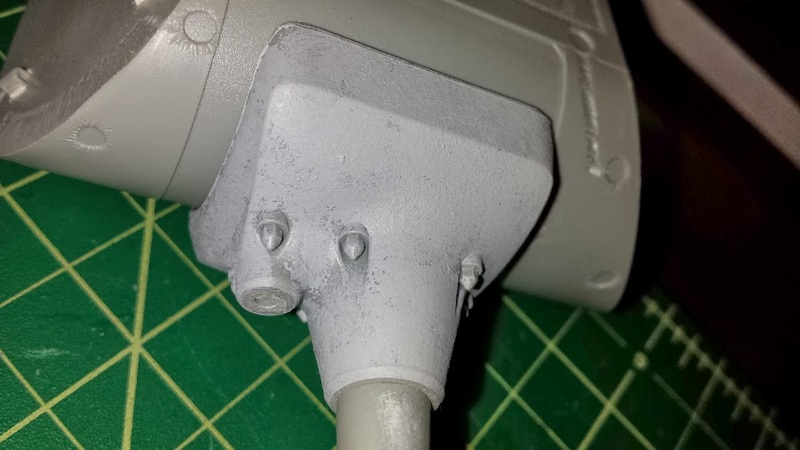 Great job on that muzzle brake. 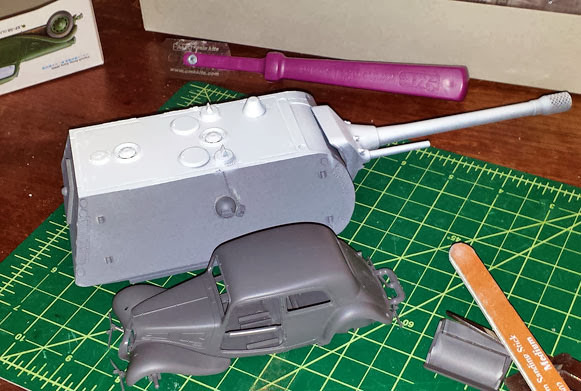 Mine is going to be a Panzer 46 type finish in green and yellow only. Great job on yours. 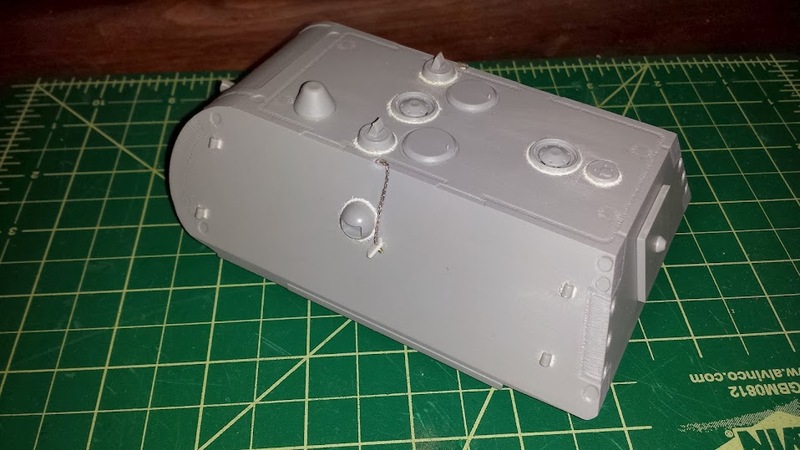 Maus turret primed and ready for painting. Next to my Citroën to show scale. 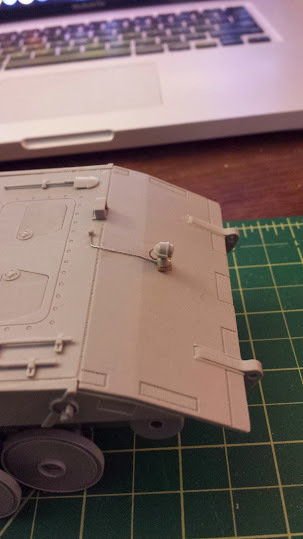 The styrene rod welds came out very nice.